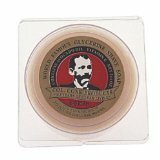 Colonel Conk Shaving Soap & Shave Cup Reviews. 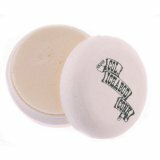 Each package contains 2.25 ounces of shaving soap, each unit is 2.5 inches in diameter and 1 inch tall. 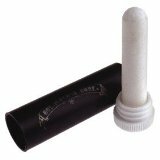 For when your are traveling, this neat watertight container will hold your Colonel Conk Shaving Soap. Included with the travel container is a bar of glycerin shave soap. 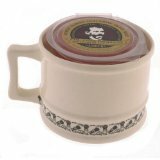 Old fashioned apothecary ceramic shaving mug with a ball grip and a 2.25 ounce bar of glycerin shaving soap. Colors will vary with each cup because they are individually hand glazed and are handcrafted in New Mexico as a Southwestern style pottery cup. Also comes with Col. Conk's famous glycerin shaving soap. 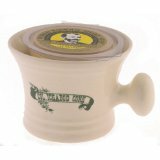 This is an over sized shaving mug from Col. Conk and comes with an over-sized 3.75 ounce bar of shaving soap. 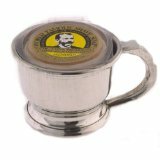 A 2.25 ounce bar of Colonel Conk Shaving Soap comes with this Chrome Shaving Mug that holds any round shaving soap. Easy to use and beautiful to look at and admire. 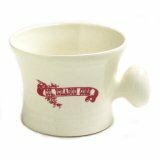 Ceramic shave mug that comes with 2.25 ounces of Colonel Conk's glycerin shave soap. Includes Razor, Badger Brush, Stand, Bowl and Soap. This 5 piece set will make a wonderful gift for any man who using a manual shaver. 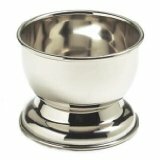 Crafted in England, this fine pewter shaving cup has a grip handle located on the side. Included with the cup is a 3.75 ounce bar of glycerin shaving soap. 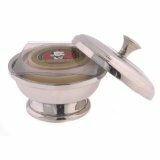 Genuine pewter shave bowl with a lid and knob that comes with a 3.75 ounce bar of shaving soap. Kit includes a pure badger hair brush which is handcrafted on the Isle of Man, 2.25 ounces of glycerin shave soap, gold-tone double track razor, and an old fashioned ceramic mug by Colonel Conk. Comes in a black plastic case and will promote healing while stopping bleeding from minor cuts and scratches. Gift set includes a Col. Conk ceramic shave mug, 2.25 ounces of shaving soap, and a badger bristle shave brush with a cream handle. 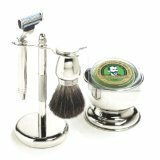 Col. Conks 4 piece Chrome Shave set includes glycerin shaving soap, a badger shaving brush, chrome stand, and a double track razor. This set from Colonel Conk contains a gold-tone double track razor, handcrafted pure badger hair brush, and glycerin shave soap. 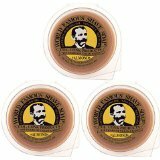 This handy set includes Colonel Conk's world-famous glycerin shave soap, a soft and luxurious pure badger hair brush handcrafted on the Isle of Man, and a gold-tone double track razor. 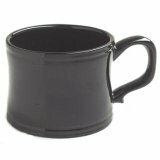 Shaving mug is 3 inches tall and 4 inches in diameter. Includes a 3.75 bar of Col. Conk's shaving soap. 5 piece set includes a chrome handled badger shaving brush, chrome stand, shaving soap, chrome bowl, and a Merkur chrome long handled safety razor. Makes a very special gift for that special someone! 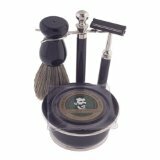 5 piece set includes a badger bristle shaving brush, black & chrome metal stand, double track razor, and lime scented glycerin shaving soap. 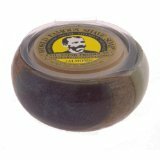 Colonel Conk Apothecary shaving mug with a ball grip and a 2.25 ounce shave soap bar.